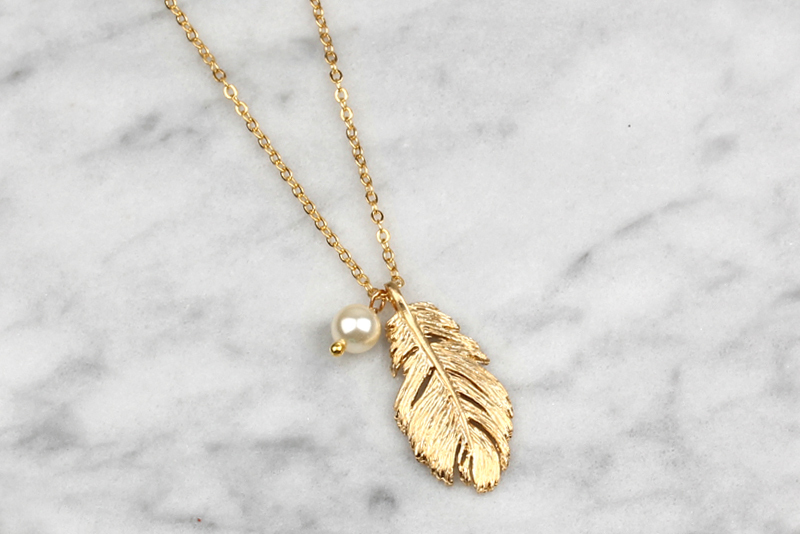 Feather are often associated with spiritual matters, strength and wisdom. 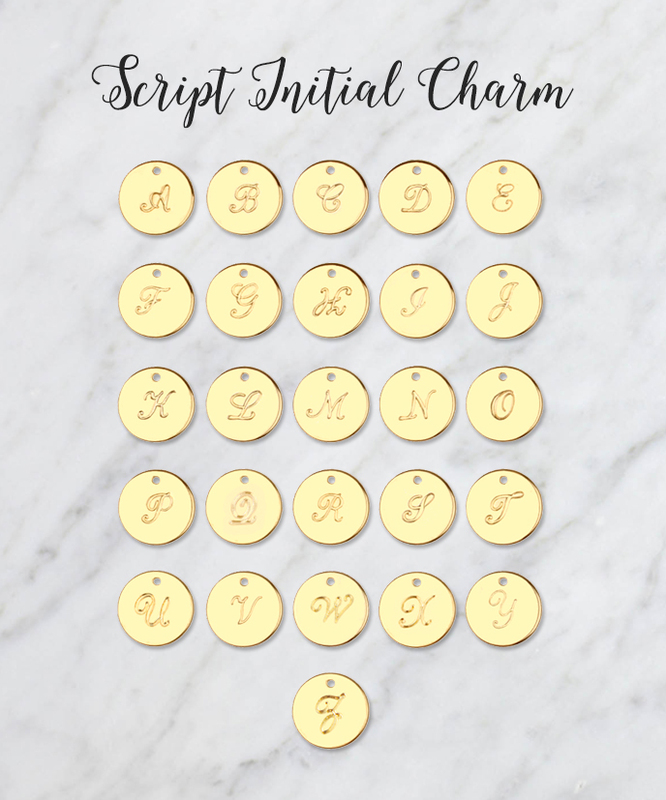 So these charm necklaces make a unique keepsake gift for a loved one or friend to wish them hope and faith for a strong and wise pathway of life. 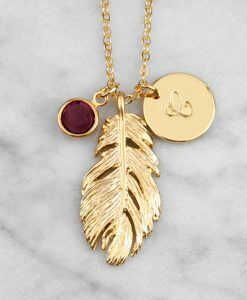 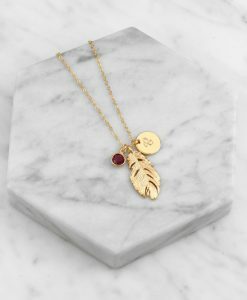 A delicate necklace features a gold plated feather pendant adorned with the Swarovski crystal birthstone of your choice. 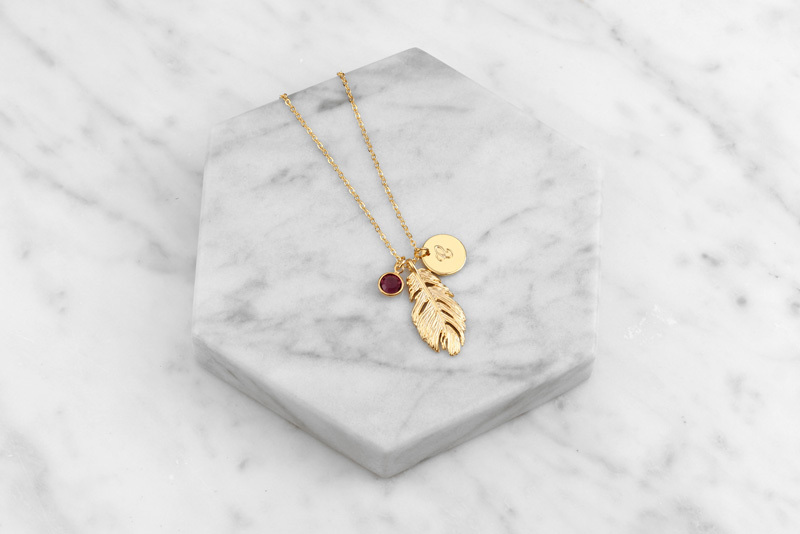 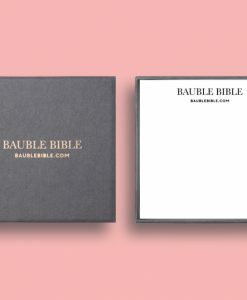 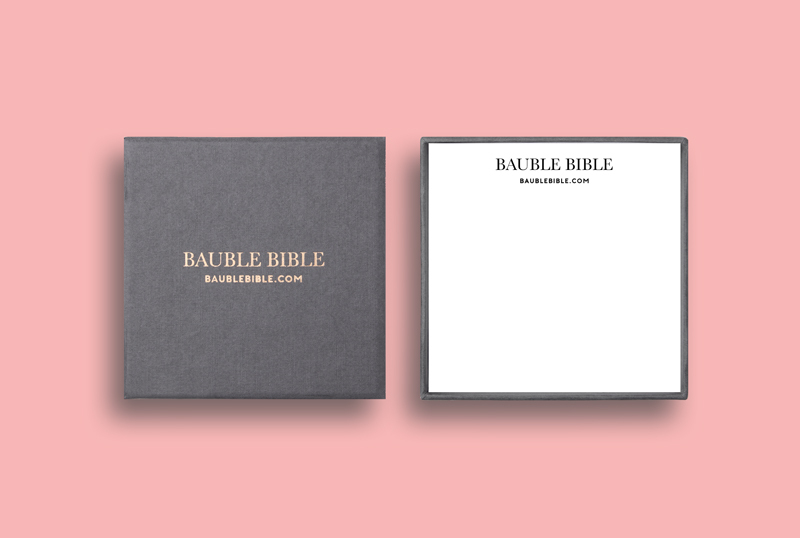 This makes the perfect thoughtful gift for any occasion, as it can be personalised with the initial of the recipient. 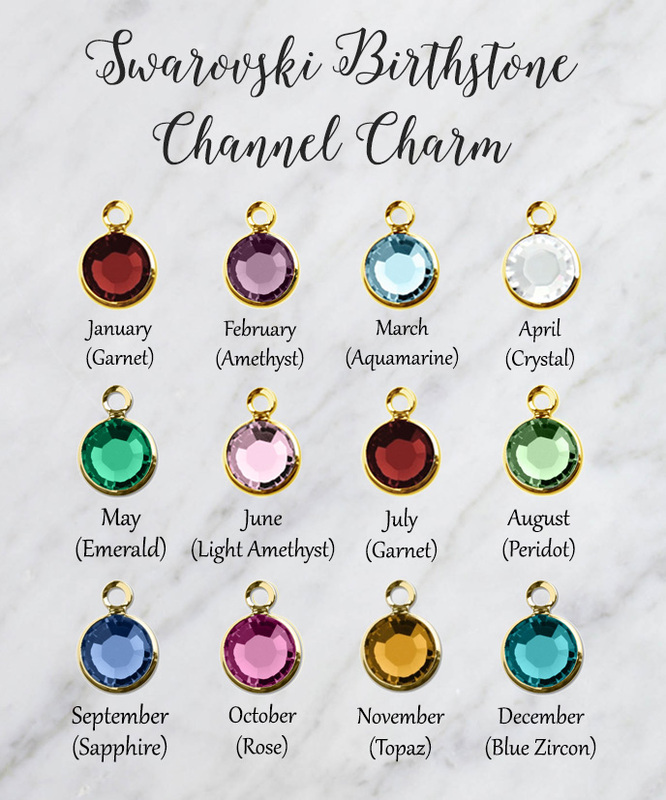 *Please write the initial and birthstones you want in the note section provided below. 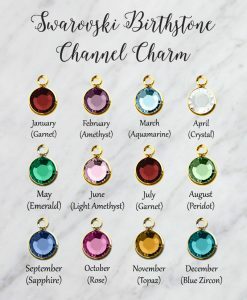 You must select the add initial or birthstone charm option from the dropdown menu, otherwise a standard feather necklace will be sent even if an initial or birthstone is entered. 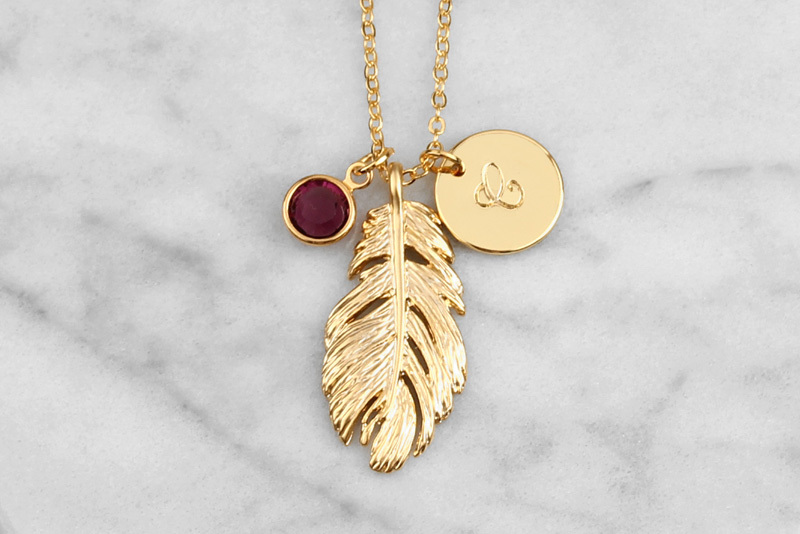 The pendant measuring 13.5 x 30 mm wide. 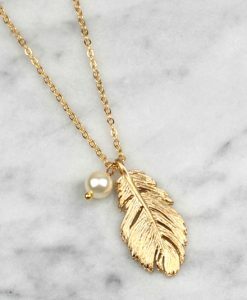 Hung in a 45cm gold plated chain.